How To Create A Professional & Engaging Multi-Part Forms on WordPress? While forms are the most basic and the easiest way to collect data and user information, it can come across as boring or tedious. So what can you do to avoid that? Splitting and dividing simple forms into multiple parts has more benefits than one can think of. For one, it makes a simple form more interesting and appealing to the users who are filing them out. Another benefit is the engagement you get from your users which surely affects the site in a positive way. Instead of monotonous and lengthy forms, one can keep things short and interesting by diving it into various sections or pages. 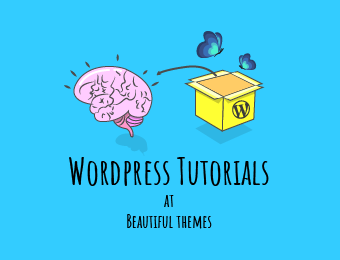 While we have always talked about what’s new in WordPress and what is trending, today we wanted to take a step back and talk about something that has been around for quite a while now. WordPress VIP, a premium option provided for the users of WordPress.com. A topic of debate throughout the years, today we too wanted to join in the discussion and actually see if it truly is worth the investment? 5 Awesome Premium & Free WordPress File Upload Plugin For 2019! WordPress one of the leading CMS platform now covers almost 32% of all the online sites as of 2019. And with more and more user-friendly options and improvement of online experience in mind, it has developed into something so much more than what it used to be before. However, there are still some fields missed out, and the option to upload files and folders from the front-end is one of them. By default, WordPress has no way to allow the site’s users to upload or submit any format of content or folder. But this is where the third-party WordPress plugins come in handy! These important sectors of WordPress repository need no introduction and wish managed to fill in on any missing functionality, and WordPress fails to offer. And if you are new to using this CMS platform and want to know more about it, why not check out our thorough guide first? 10 Best Premium & Free WordPress Header Plugins To Create Sticky, Floating, Animated & Creative Headers! One of the key elements of a site is the Header and Footer, however, it is often overlooked. When designing the structure of a website, one needs to take care of what the Header and the Footer gives access to. Users often get their first impression of a particular site from what the header looks like. Whether you decide to go with a simple navigational structure, or want to draw attention of your users with attractive sliders, or want to add credit to the designers, or include informative contact details, the Headers and the Footer play a key role. So today for our loyal users, we wanted to find the easy solution to get the ideal Header and Footer style with ease. And what better way to get the results, then with a helpful WordPress Header plugin? Looking at the overall needs and requirements as well as the user-friendly features, today we have made a list of the best possible WordPress Header Plugins out there! And making sure that you get whatever you are looking for, we have also included both Free and Premium options. While the free ones we have included pretty much covers the basics, the premium version are more versatile and meets the results with an expanded list of options. The initial decision is up to you! No matter what business niche you are based on, an online platform to broaden your horizon is a must. But starting an online store is in no way an easy task. You need to take care of everything including the overall design, and even the smallest elements like fonts and typographies. Amongst all of this, the one thing that is of utmost importance is finding the best eCommerce platform. There is no definite answer, of course, as the conclusion today will be based entirely on our opinion. However, what we aim at doing is making it easier for our users to answer their queries and find the best option to choose from. We have indulged in the comparison of popular WordPress eCommerce platforms like WooCommerce Vs Shopify and WooCommerce Vs Magento before on our blog posts. But today we wanted to take a detailed look at all the available eCommerce platforms and compare all of their pros and cons. The fastest growing industry overall, we will be covering the pricing, advantages, major purpose and the overview of each one so you don’t have to. So without waiting any further let’s get on with the comparison. If you are a budding web developer, programmer or even web designer, then you probably might have heard about Codester. A thriving digital marketplace for anyone looking for templates, scripts and website designs, it has managed to maintain a consistent reputation for itself. But while these are all hearsay, today we wanted to check it out for ourselves and see what exactly this marketplace has in line for us. Does the place really stand out and meet up to the expectations? To answer both the question and all of our curiosity, today we are here with a complete review on the site Codester. Starting off, let’s get on with the introduction to Codester. When and how the site was created and what is their main purpose? Before moving onto the actual review, here is a glimpse into what we will be talking about today! 8 Of The Best WordPress Live Chat Plugin To Improve The Customer Service Department! When it comes to customer services and providing the users with a great experience for your users with your company, the absolute best way is online. As it is the age of internet and technology, more people opt to search help online than the old-fashioned way of calling in. No matter what question it is, Google and your online website is the search spot your users go to. Some people might find it easier and even comfortable interacting through chats rather than talking. But online supports come in different forms and includes all of the forums, FAQ’s, and even product documentation. However, these all might seem a hassle and people usually try to find online chats and social media sites to get their answers. And if your business websites do not have the option yet, What are you waiting for? Adding online live chat options on your WordPress sites is not only beneficial for your users, but it can also come in handy even for the website owners. But let’s talk about it in-depth so that you realize how a small element can make a huge difference. 20 Best Premium WordPress Wedding Themes For Marriage and Ceremonies 2019!